Annie Baker, a Pulitzer Prize-winning playwright, speaks Saturday at the Virginia Wadsworth Wirtz Center for the Performing Arts. 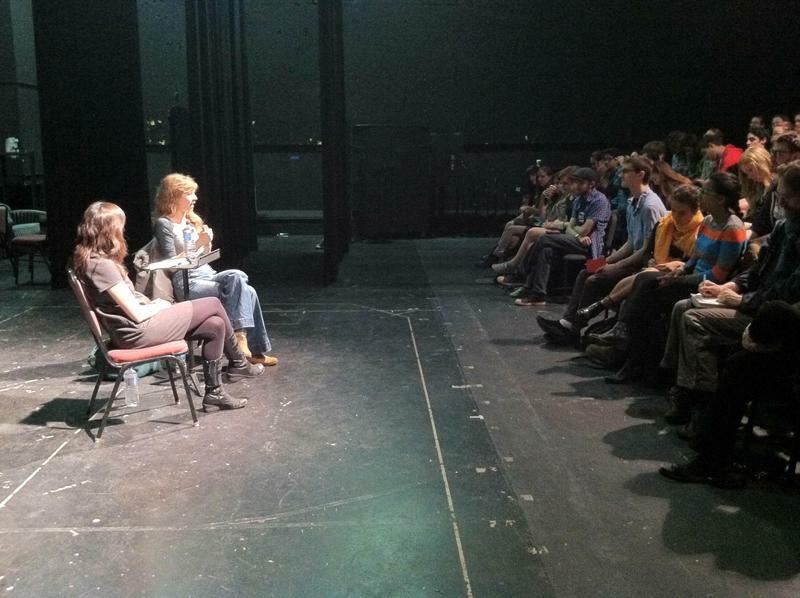 During the event, Baker discussed how her career progressed and offered advice for budding playwrights. A Pulitzer Prize-winning playwright spoke Saturday to about 70 Northwestern students and faculty about her creative process and the progression of her career. The event, sponsored by Vertigo Productions, the Dramatists Guild and the Agnes Nixon Festival, featured Annie Baker, and was held at the Virginia Wadsworth Wirtz Center for the Performing Arts. Communication lecturer Laura Schellhardt moderated the event and asked Baker questions submitted by students and faculty. Attendees also had the opportunity to ask questions at the event. The talk was attended mostly by undergraduate students, who asked about topics ranging from theatrical conventions Baker hoped would change in the future to how to tell if an idea is good enough to develop into a play. At the beginning of the event, Baker talked about her first attempt at playwriting, when she applied to a student playwriting contest at age 16 but was afraid to submit her play. She said starting out as a writer, her talent didn’t quite live up to her taste and she found herself struggling to write the theater she wanted to see. Baker said she frequently works with director Sam Gold, and she bonded with him over theatrical conventions they both dislike. Wyatt Fair, Communication junior and incoming Vertigo playwriting chair, said as a theater student, he had a lot of the same thoughts and ideas as Baker about the artistic process. Communication sophomore Eva Victor, the incoming development director for Vertigo Productions, said Vertigo was enthusiastic about bringing Baker to NU through a partnership with the Dramatists Guild in New York City. During the event, one student asked Baker what plays she would recommend to aspiring actors and dramatists to read. She said it depends on the person’s individual taste, and encouraged students to read other genres, becoming scholars as well as artists.